Columbia and Spring Hill, separated by a few miles on State Hwy. 31, offer home decorators a wide range of shops ranging from antiques and furniture to lighting and decor items. Saturn Parkway off I-65 South is an easy way to access both communities. South of Saturn Parkway lies Columbia. Offering furnishings for every room, Value Furniture has counter-height dining sets and upholstered pieces in fabrics and leather. The store also has quite a selection of sofas, loveseats, accent tables, and accessories. Part of a larger distribution channel, Discount Electric Supply features appliances, plumbing features, and lighting. Included are Minka Lavery, Quorum, and Lithonia, as well as George Kovacs, Seagull, and Progress. Ceiling fans, faucet, and shower heads are showcased as well tubs of all descriptions. At Sugar Creek, visitors will find primitive and country home decor and accents, and a feeling that the owner hopes will recall shops found in Gatlinburg. Whatever the season, this store has gifts, holiday decor, and more. On and around the traditional Southern courthouse square is Lily Jane, a charming little boutique that offers candles, gifts, baby items, stationary, and more. Accents and Antiques feature 7,000 square feet of antiques and collectibles spread over two floors. Visitors will find jewelry, furniture, as well as glassware, books, paper ephemera, lighting, pictures, and more. On Garden Street, Bleu 32 offers 12,000 square feet of shopping that includes antiques, home decor, repurposed vintage goods, painted furniture, textiles, and more. 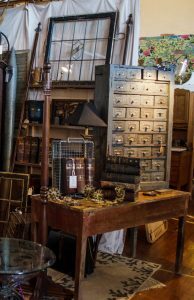 This fascinating shop quickly outgrew its original home in a house near downtown, and today features more than 40 carefully selected vendors offering curated displays in a variety of categories. On South Main, Mum’s the Word is a floral shop that offers painted furniture, decor items, and more, as well as antiques in the basement level. The same artistic touch that is found in the shop’s floral arrangements finds expression in the decorating vignettes. Oak & Lace is a unique boutique with a collection of handmade, found, vintage, and refinished furniture and home décor combined with unique clothing and accessories. Visitors will find everything from armoires, desks, and chairs to dining tables, wall shelves, and glassware. Nearby, the Faded Farmhouse is a home decor boutique specializing in vintage-inspired products, new, old, and handcrafted. 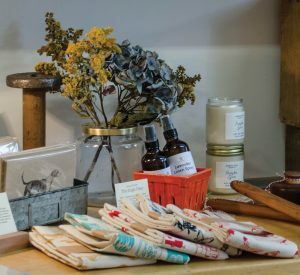 Home to 20 talented local artisans, the shop offers pillows, candles, prints and wall decor, florals, kitchen items, and more. Loblolly Interiors Market is a true find. 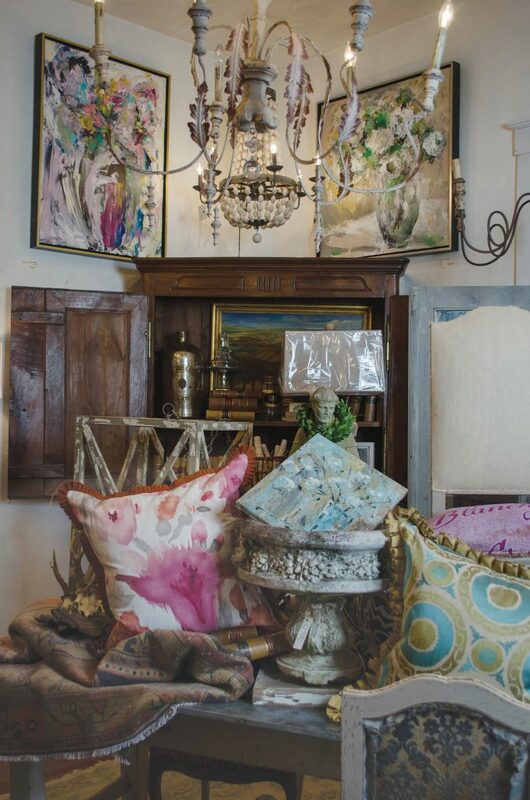 It offers an inspiring collection of art by regional artists, antiques, English and French furniture, unique and unusual lamps and light fixtures, and accessories to create a beautiful home. Loaded with eye-candy for the designer who refuses to settle for the norm, Loblolly allows owner Ellen Calvin to share her love of beautiful furniture and accessories. 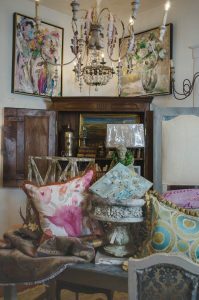 Her shop is infused with hand-picked treasures gathered in intriguing vignettes to offer creative inspiration. Around the corner, Ye Peddler is an unusual and appealing shopping destination offering a sense of whimsy no matter the season. 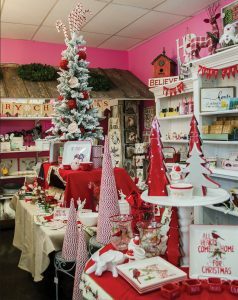 This shop’s mission is to delight visitors with beautiful merchandise, including dishware, bridal registry, and everything needed for a perfect holiday table. 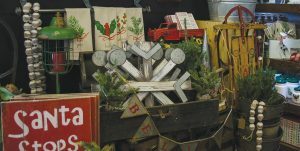 This little shop is packed with holiday and home decor, gifts, small furnishings, everything needed for holiday entertaining or celebrating any occasion, including a variety of Southern-made collections. 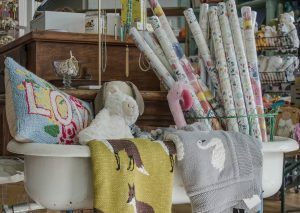 Needle and Grain is a handmade home goods store steeped in family tradition with contemporary design. What began as a hobby to preserve quilting and small-scale woodworking crafts, has become a shop offering a brand centered on family, hard work. and responsible production. Visitors will find locally, regionally, and nationally sourced handmade goods. South on Pulaski Hwy., Prestige Marble & Granite features premium stone countertops, custom fabricated from natural stone. 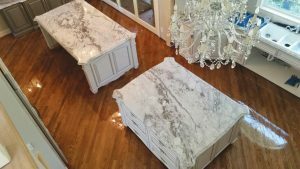 The company sources extraordinary, rare, and exotic marble and granite slabs to enhance home decor throughout the middle Tennessee area. 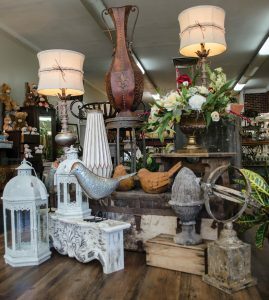 West on Trotwood Avenue, the Pink Porch captures the attention with painted furniture and antiques, gifts of all types, candles, consignment furniture, vintage pieces, and more. Finding a home among the painted furnishings is seasonal decor as well as festive findings for the holiday season. On Bear Creek Pike, IWS Granite & Marble offers a large variety of natural stone in numerous popular colors, as well as off-cut pieces for a variety of home decor purposes. This shop specializes in tile backsplashes, floors, tubs, showers, and stone restoration. Fireflies on Spring Hill’s Main Street is a collection of unique boutiques under one roof. Inspired by the original owner’s view of fireflies in a jar, the store features furniture, wall art, gift items, and more. Baskets, candles, pillows, local art, and more make this a special finds shop. Vintage 615Located in Spring Hill Commons, Vintage 615 is a collection of antiques, vintage furniture, upcycled pieces, textiles, wall art, signs, and more in the shop that features 3,000 square feet of space. You’ll find 22 vendors featuring a wide range of merchandise. Nearby, Addison’s Attic is half consignment, half antique and features a number of vendors. 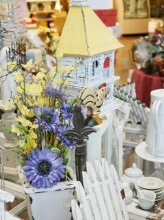 Visitors will find furnishings, home decor, housewares, seasonal items, and more.